P.J. died on the 29th October 1993 as a result of injuries sustained when he was knocked from his bicycle when he was coming home from work as a part-time barman in the Hollybrook Hotel. He was 17 1/2 years old. Despite his tender age he had achieved quite a lot especially in sporting circles. He was born into a family steeped in GAA traditions. From his earliest days he was very interested in sport. P.J. joined Whitehall Colmcille when he was 8 years old & played both hurling & football. He was very dedicated to the club which he loved. He soon established himself as a regular on the teams at his own age & often played at age groups higher than his own. He was very enthusiastic & trained regularly. During his time with Whitehall he won many leagues, etc. The highlight of which was winning Feile in 1990 in Division 3. Durning his school days in St. Fiachras Junior & Senior school in Beaumont & at St. Aidans CBS he represented them at all levels of hurling & football. Shortly before his untimely death he had commenced 3rd level studies at St. Kevins College & was looking forward to getting involved in their sporting activities, especially hurling & football. His sporting prowess was not confined to GAA. He played soccer with Artane/Beaumont & was elected Player of the Year at U11 in 1986/87. As a member of the local community volleyball team he represented Dublin in the All-Ireland Community Games final in Mosney in 1990 & gained bronze. As a member of Elmount/Ardmore Pitch & Putt Club he was the youngest to win both the Presidents Prize & the Club Championship, this is now known as the P.J. Troy Matchplay Championship. Shortly after P.J. 's death his manager Mick Keegan, Whitehall Colmcille expressed a wish to have an U13 Hurling Competition in P.J. 's honour. He felt that a competition at this age group would be very beneficial to teams preparing for Feile. He got the backing of Whitehall Colmcilles Committee & Coisti na Nog agreed to organise & run the competition on a county-wide basis. 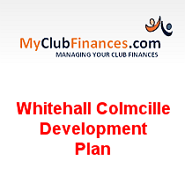 Phil Ryan a member of Whitehall Colmcille agreed to sponsor the main trophy. This competition has gone from strength to strength over the years & has now become a fixture on the calendar of underage hurling in Dublin. P.J. 's family are deeply indebted to everyone concerned. Taken from P.J. Troy Memorial Hurling Tournament Programme 7th June 1997. The tournament itself takes place in June/July of each year all over Dublin city. 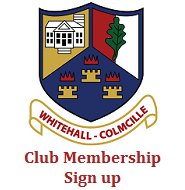 Whitehall Colmcille hold one of the competitions/divisions in Ellenfield Park. The competition is a combination of both ground hurling & normal hurling.